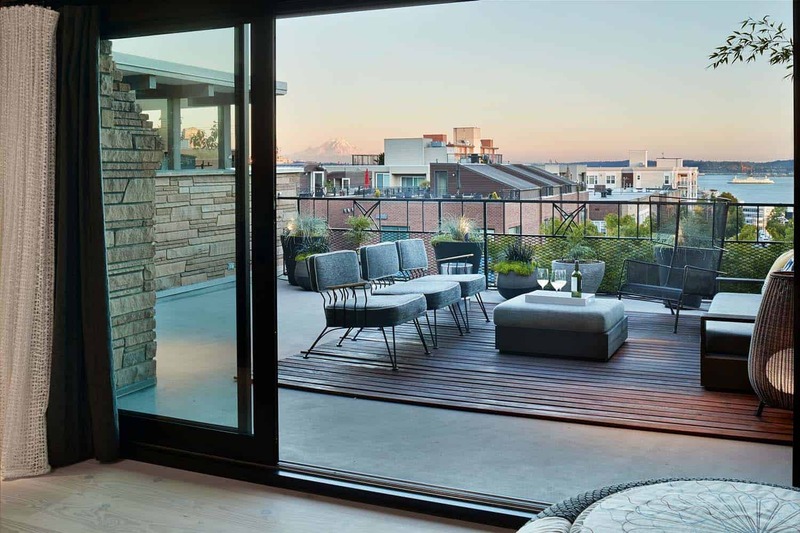 Originally constructed in 1955, this contemporary penthouse apartment was completely renovated by SkB Architects, located in Seattle, Washington. With just 1,500 square feet of living space, the interior of this apartment was typical of the small, separated living spaces of its era. 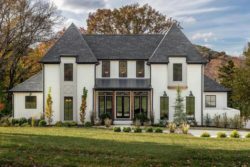 The challenge for the architects was to design a home that reflected a contemporary aesthetic, along with the owner’s desire for an environment rich in materials and textures. 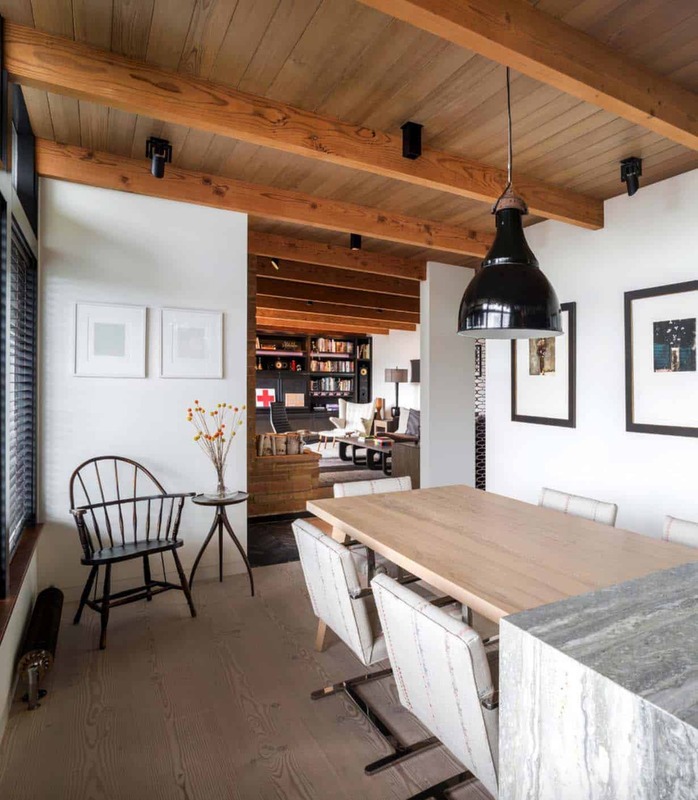 The renovation process entailed: tearing down walls between the existing rooms, creating an indoor-outdoor connection to the adjoining 850-square-foot terrace and establishing a visual harmony through the use of simple, elegant materials. 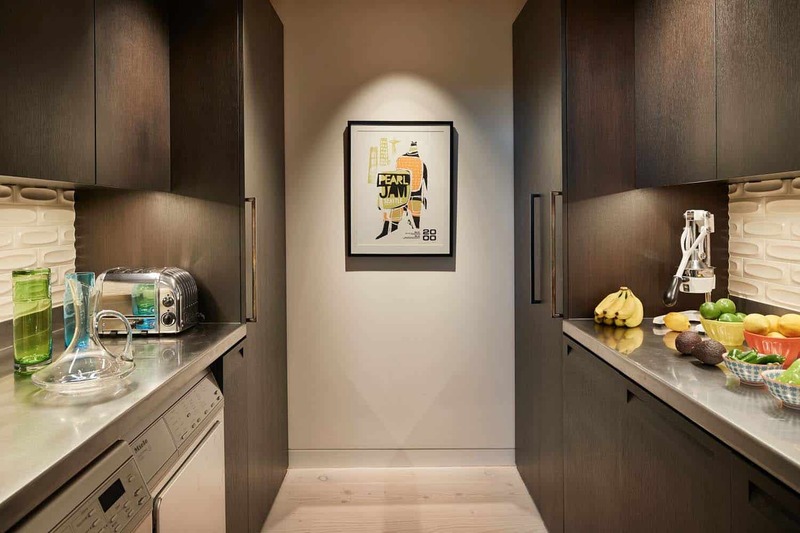 To begin, the architects designed an open plan kitchen, living and dining area to create a flowing space for the family (these areas were previously closed off from one another). 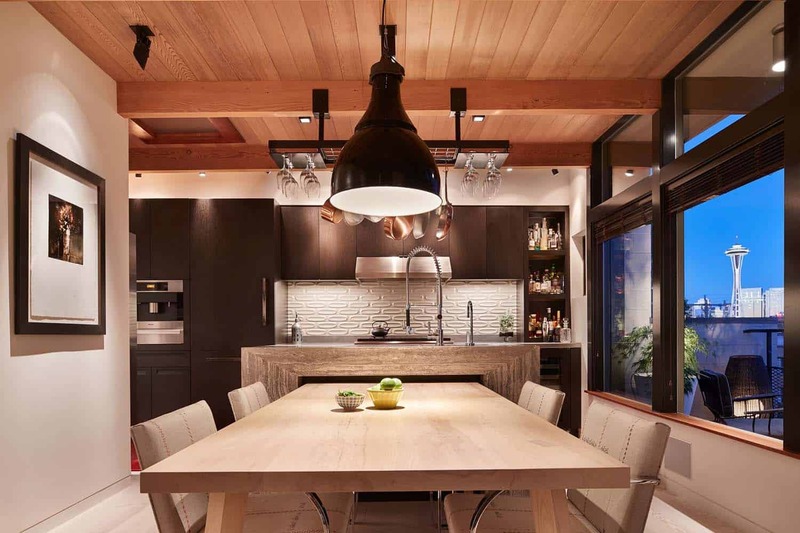 The kitchen features a minimal, yet materially rich, aesthetic, with dark cabinetry and a bold, contrasting travertine island. 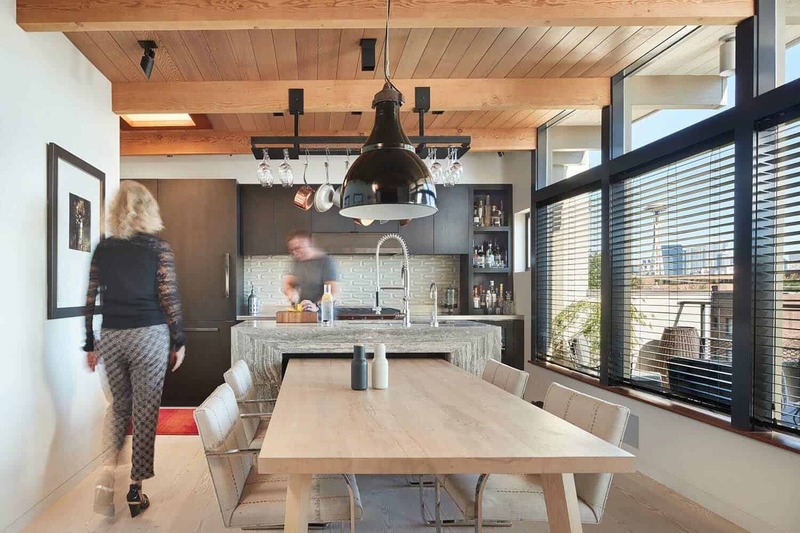 A sliding wood dining table partially nests underneath the island, which can pulled out to host additional dinner guests. A portion of the kitchen was pushed back to accommodate a small, butler’s pantry. 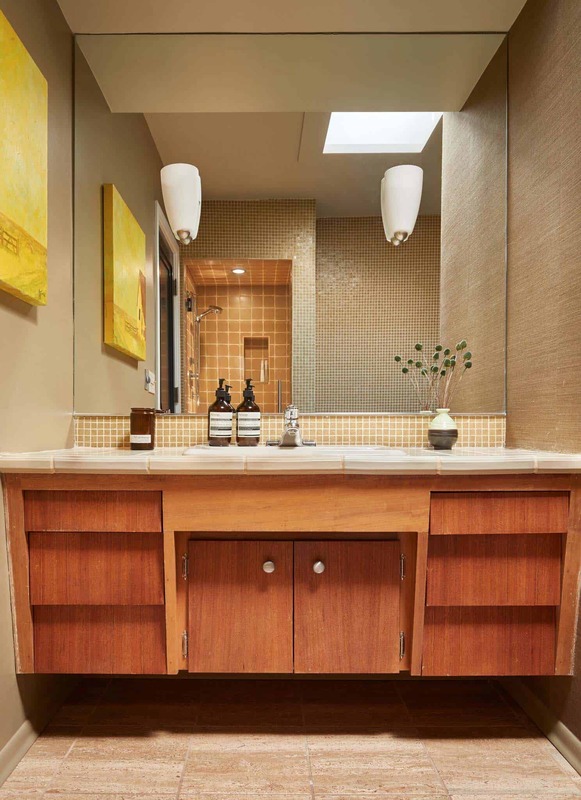 To create visual harmony throughout the interiors, the flooring and ceiling materials, as well as the lighting were made consistent throughout. 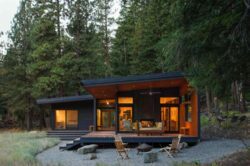 The floors are twelve-inch-wide Douglas Fir planks, while the ceiling is made with six-inch-wide, clear, tongue-and-groove cedar. 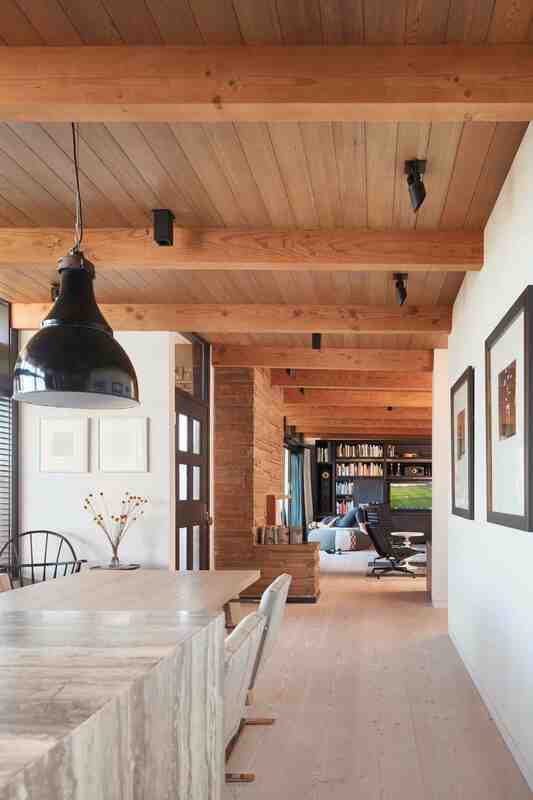 Structural wood beams were sanded down to expose the wood’s beautiful, natural color. Lighting was integrated into the ceiling, helping to create a clean aesthetic, all the while adding a dramatic visual element that was previously lacking. 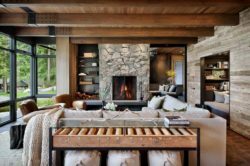 The interiors are characterized by a beautiful fusion of vintage, custom-designed (the coffee table, end tables and dining table were designed by the architects), and contemporary furnishings. 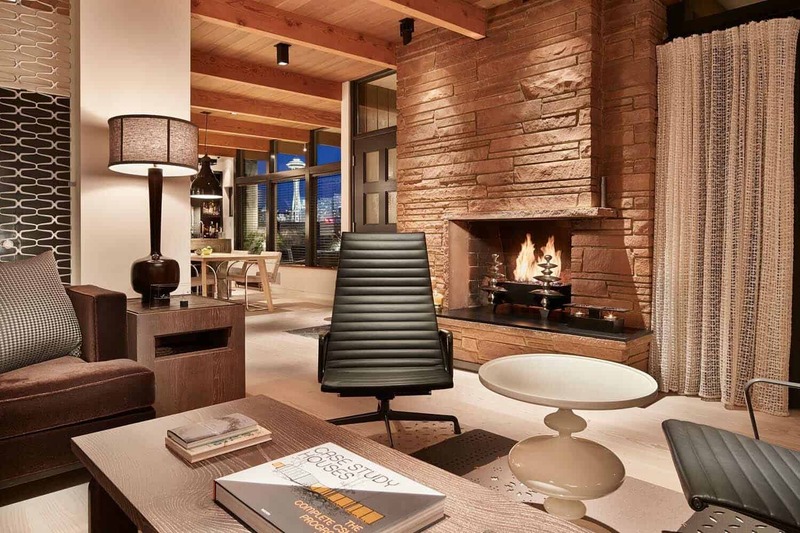 Robust textures and forms provide a counterpoint to the simple, neutral bones of the space. 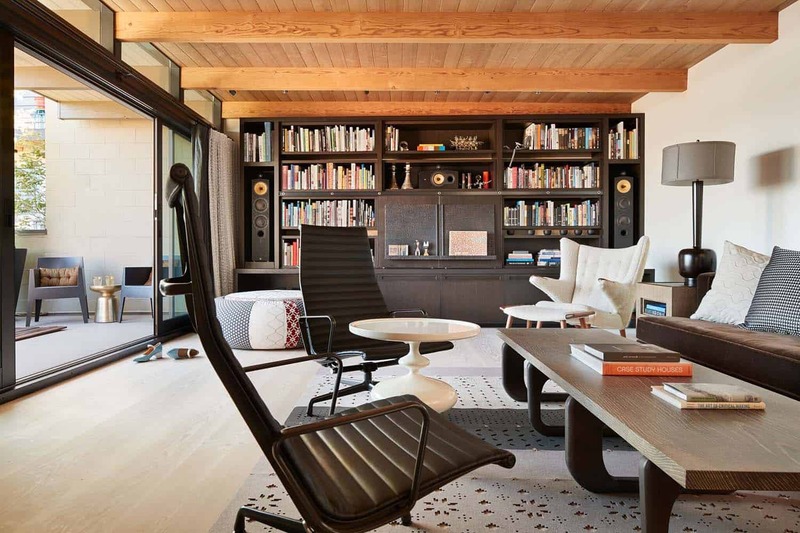 The living area features a custom-designed, built-in TV cabinet and book shelves, which were constructed out of rift cut, dark-stained, white oak. Above: When the TV is not in use, it can be concealed with sliding, pitted-steel panels. 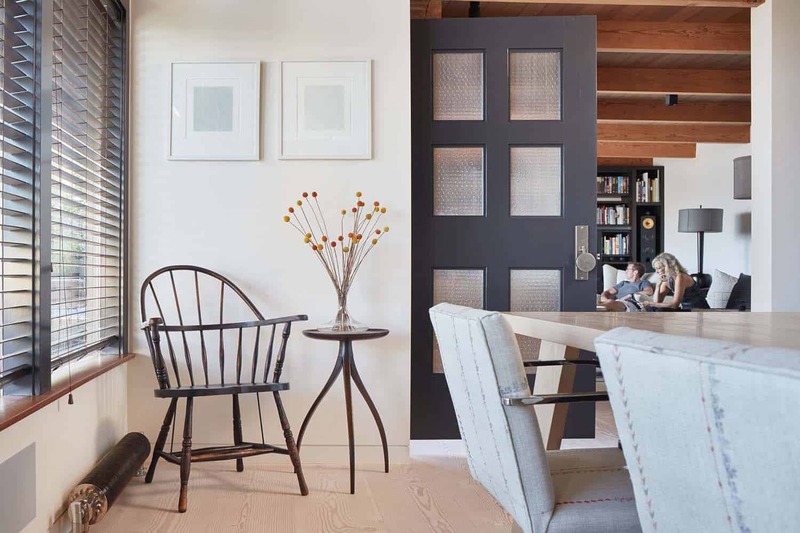 What We Love: The renovation of this penthouse apartment helps to preserve and enhance it’s mid-century roots, while updating it to current trends. 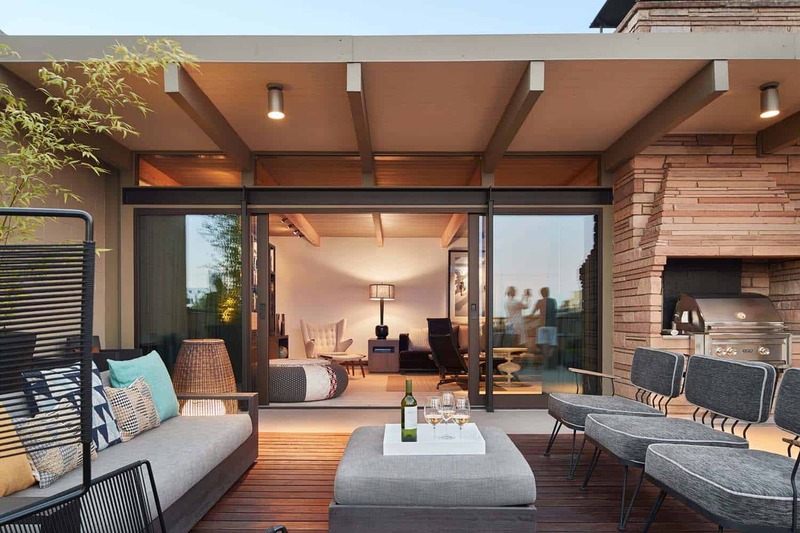 The indoor-outdoor connection between the living room and outdoor terrace helps to create a nice flow for entertaining. Comfortable and stylish living spaces offers this family a welcoming environment to call home… and those views are not too shabby either!! 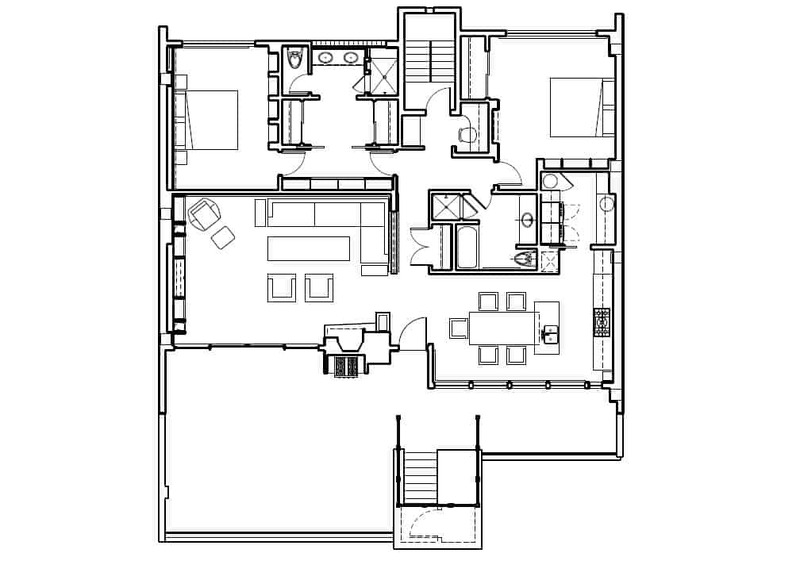 Readers, please share with us your thoughts on this renovation project in the Comments below. 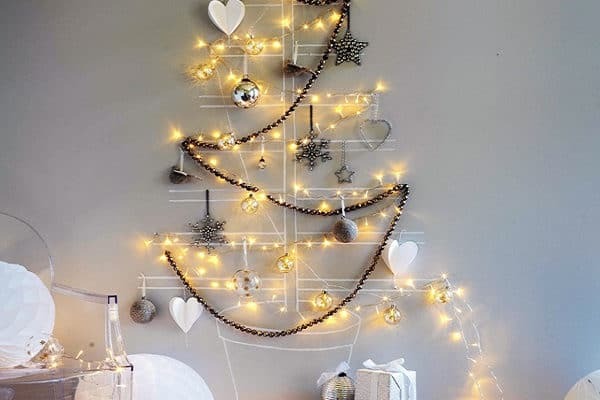 Are there any details in this design that you would have like to have seen done differently? Above: The sliders feature UV-coated glazing to control heat gain. 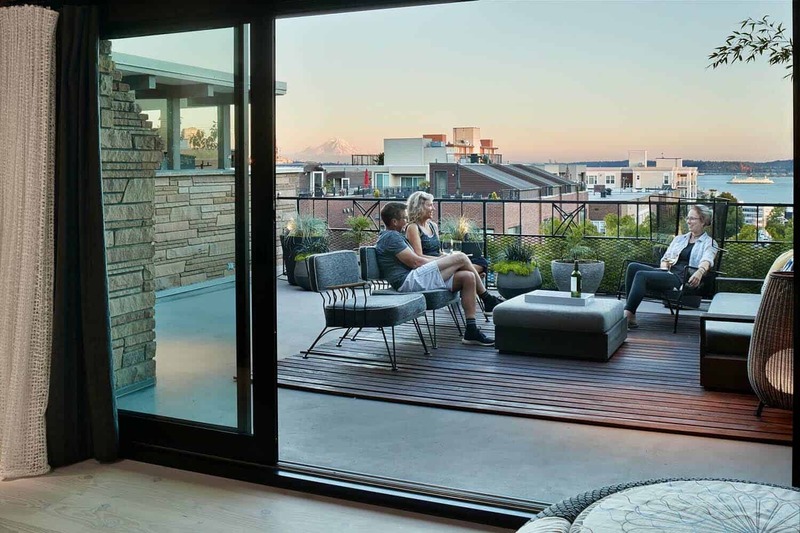 Access to the south-facing terrace was enhanced with the addition of large, glass sliders—visually and physically connecting the indoor/outdoor spaces. This helped to double the living space when the weather is ideal, while at the same time capturing views towards Elliott Bay and Mt. Rainier. 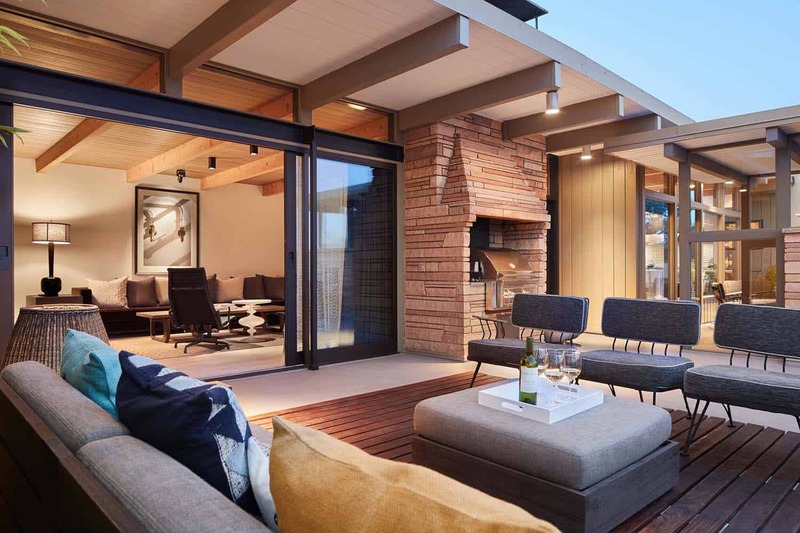 The cozy terrace sitting area is defined by an ipe “area rug”, while a double-sided sandstone fireplace offers an inviting ambiance in the living room and a cooking station on the terrace. 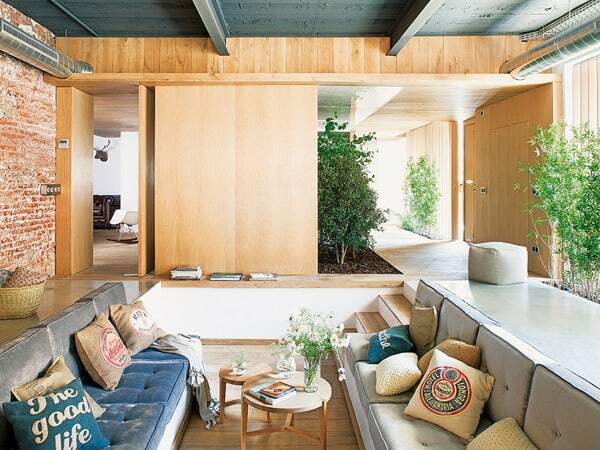 Above: The dual-sided sandstone fireplace and built-in grill on the terrace were converted from wood to gas, not only for ease of use but for environmental considerations. The previously inefficient heating system was replaced with energy-efficient radiant heating from Runtal. Photos: Benjamin Benschneider / This project was submitted to us courtesy of SkB Architects. If you have a project you would like to share with One Kindesign, please contact us here: Submit Your Work.